Jon Stewart did not vote today in the 2014 midterm elections. The Daily Show host admitted in an interview Tuesday that he skipped out on exercising his constitutional right to vote this year due to a logistical snag. The Daily Show spent last week broadcasting from Austin, TX, for "Democalypse 2014," in which Stewart interviewed Texas governor candidate Wendy Davis and Congressman Joaquin Castro. Stewart called this election "a true changing point in American history" and echoed the predictions of political analysts (including Nate Silver) that it would bring sweeping Republican victories. It feels weird that he abstained. So many people think of him as being so heavily involved in American politics. 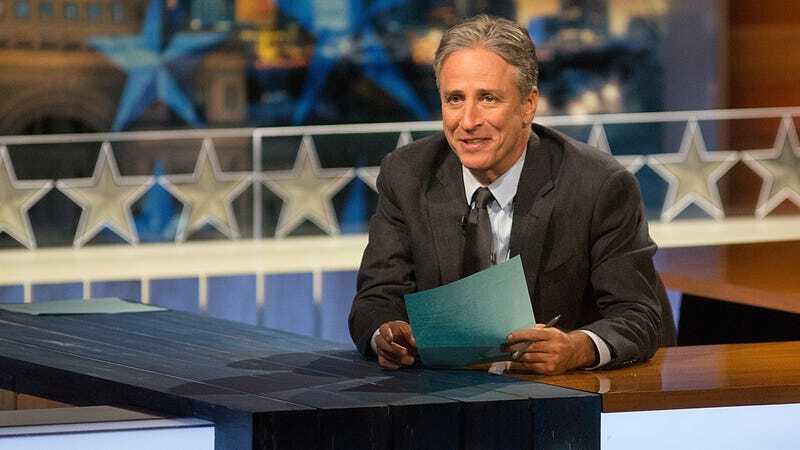 But Stewart himself is always quick to correct Fox News pundits and his legions of millennial fans, reminding the public that he is a comedian and that his show is meant to be entertaining before it is a source of news. But while Jon Stewart didn't vote, if there's still time, you should! It's obviously an important part of our democracy and all that: plus, I know you don't want Mandy Moore to be disappointed in you.